Are you applying to universities this year and feel lost in the application process? Are you confused about which academic major to take? Are you apprehensive about filling out university applications and writing your essays? Are you confused about which universities are the best fit for you? If so, we are the solution to help you through this process. 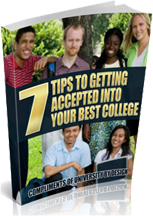 Uncover insider secrets to higher success rates in getting admitted to the college of your choice. Are you looking for guidance to discover what you really want to do in life? Have you ever wondered which universities are best for your success? Learn more about your true potential, identify your best career, find the right fit in a university, get in and love your experience in college!. Learn more about yourself and develop the confidence you need to succeed in college. Choose the subject area and major you are passionate about. Choose the top 10 universities for you. Create a winning profile of activities to do outside of school that will make colleges notice and want you (sometimes they even give scholarships to get you). Complete winning online applications for all 10 universities of your choice (Common Application with supplements and State Applications). Brainstorm your personal essay topics. Get into the university of your choice now! University by Design has many satisfied clients who got into the university of their choice, studied in the program that excited them, loved their college experience, and have graduated on time. Take the stress out of helping your child know him/herself, develop confidence in their ability to succeed in college, find the perfect major and college, go through the confusing process of applying to college, and begin a career they love! "Your calls are holding Kohl accountable and keeping me from having to nag! It is such a blessing to have a coach (off the field) whom he respects and responds to. I am much less stressed knowing that this next year [Senior Year] he is in your capable hands." "Penny, one of the UBD coaches assisted me while I was applying for Universities back in 2005. She coached me through the entire process of applying to and finding the right school for me. Penny put me in contact with students, taught me more about individual programs, and helped me open my mind to the possibility of schools that might not have been on my initial list. I wholly believe that Penny helped lead me to my perfect fit University. After working with her I ended up at UC Santa Cruz, graduated a year early, and have since worked for several successful tech companies in the Valley. Liliana has blossomed with a clearer understanding about who she is, what she wants to be in the world, and how to present herself. I remain 100% satisfied with our investment with Penny. University by Design has been in the business of assisting students with the university application process for over 12 years. We have a proven coaching program that has helped many students identify their life purpose, develop self-confidence in their ability to succeed in college, discover the best college major, and get into the university of their choice (often with a large scholarship). We work with students to custom design the best path through the college admissions process. We brainstorm with students to help them find the best major, the best universities, and the best programs for them. University by Design coaching programs increases student’s self-awareness, self-confidence, and ability to succeed in college and career. Let us to this for you now. Contact our office today to get started. Students...It’s time to get into the university of your choice. We help you position yourself so that universities will want you!